There are many companies and people in Barnsley that are in need of high quality print at low prices and luckily they can come to us. We have several decades of combined experience in the print industry and over time we’ve fostered a good relationship with several loyal customers that are more than happy with our services. If you need print or design in Barnsley then we are clearly the best choice. Barnsley businesses have continued to come back to Ace Print time and again because they know they will be guaranteed a certain level of quality. We take great pride in our work and we like to think it show o every page of every print job. Yet we also know that you don’t want to spend a small fortune on print, which is understandable, and that’s another reason why people in Barnsley come back to Ace Print. We have a fully outfitted, modern print shop that we can use by leveraging our years of experience to create incredibly efficient print. This efficiency garnered through years of experience is how we manage to provide quality at such a low price. While at Ace Print we do offer businesses a brilliant print service with the low costs high number order you expect but we provide a lot of niche printing for short runs and single items. Everything from a bespoke birthday card to a set of custom wedding invitations can take advantage of our expertise. There is little we haven’t seen over the years so we’re always happy to help you work out exactly what you need. No job is too awkward, strange, or complex for us. We get a lot of joy from providing very strange, unique wedding invitations to the people of Barnsley so I hope you take advantage of our fully bespoke print service. 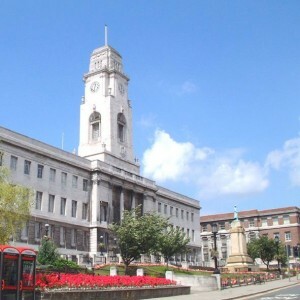 The number of printed products we can design and produce is almost limitless but below you’ll find a list of just a few of the most popular print products we provide to the people of Barnsley. That is just a short list of the items we can, have, and will print for our Barnsley based customers. We like to consider ourselves the regions local printer so with us you always get that personal hands on touch. We take you through from initial design all the way to full print. If there is any element you’re not sure of you can call upon our knowledge to help. Not only are we experts in the aesthetics of design but we’ve done enough order books, invoices, sign in sheets, and other standard business printing that we can help if you’re a little unsure about the content. Our dedication to quality and price whilst offering the flexibility of bespoke print is the reason that many people in Barnsley have chosen us as their printer of choice. I keep coming back to it but you just can beat the years of experiences that we have here at Ace Print.